Posts tagged "ccie security exam tips"
Cisco CCIE Security certification means expert level of security certified professionals who have the ability, skills and knowledge to plan, design, implementation and troubleshoot complex types of Cisco security technologies and solutions by using the advanced level of techniques and latest industry based techniques to keep the systems and enterprises networks secure from advanced security threats and any kind of security risks. CCIE security certification is known as very reputable IT certification in the world which makes you advanced level skilled security engineer. CCIE security engineers are in demands in IT industry. This certification has stable demands in IT sector. After certification you can expect salary hike from 60% – 200% in comparison of your current salary. There are no prerequisite for CCIE security certification. No other certification and training is required for CCIE Security. You need to only pass the certification exams but before that you should have in-depth knowledge of exam topics. Written exam is 2 hour exam will cover network security concepts and some commands related to equipments. You will be asked 90-110 questions to be solved within 2 hours which validates your expertise in to plan, design, implement and troubleshoot complex Cisco security systems. 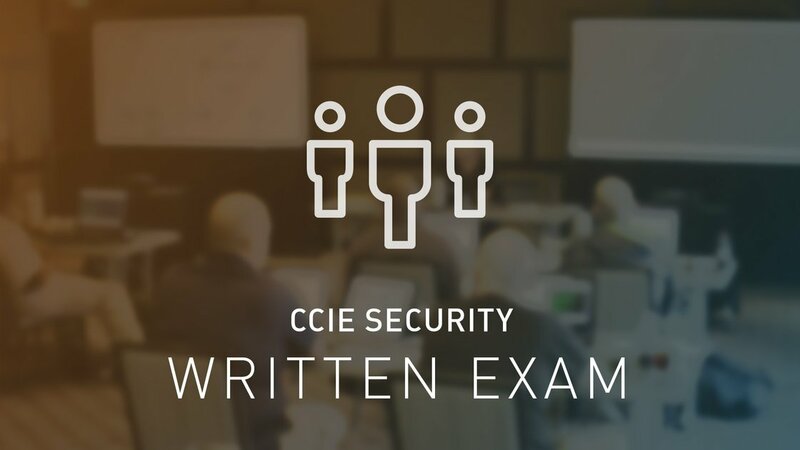 After passing this written exam you will be eligible for CCIE security Lab exam. Lab exam is for 8 hours which validates your troubleshooting skills to solve the security issues and problems in network security systems. Conditions to pass CCIE security lab exam: – CCIE security lab exam can be entertained after passing the written exam only. If you get pass in CCIE written exam then you should attempt your first lab exam within 18 months after passing the written exam. If you will get fail in lab exam then your next attempt for lab exam should be within 12 months from your first lab exam attempt. If you get fail to pass in lab exam within 3 years after written exam then you should have reattempt for written exam again for next time lab exam attempt. Practice on Lab: Do as much possible lab practice on each and every topics and try to clear all doubts during security labs. Ask for answers to your trainers or lab instructor when you face trouble. Active on CCIE forum: Be part of active CCIE forums where certified CCIE security professionals available for 24 hours. Ask the small questions and clear doubt there and be in contact with them. Try to bepart of multiple CCIE forums. Find your Weakness: Make the list of all weakness points and strength on CCIE security systems. Find the topics which may be ask in exams and make your weak topics related to exam topic. Online PDF for Exam: find the online PDF for written and lab exam topics. These types of PDF may be available on Cisco and some other online websites. You can find those and prepare accordingly. Rack Rental for Practice: You can take a rack on rent for Lab practice which will give you hands on experience on CCIE security system. Take a rack on rent from that website where you can find the workbook online, study materials and online support available for 24*7. Understand the Topology: Exams validates your technological skills and check how much you understand your topology and troubleshooting method. You should have the in-depth knowledge of troubleshooting the Cisco security systems. CCIE security certifications are the very reputable exam and it remains the dreams for number of candidates to pass this certification to be the part of “Hall of CCIE”. Get start preparation for CCIE security certification now and try to pass these exams in your first attempt. Best of luck and all the best.